The Austro-Hungarian versatile nobleman, scholar, architect and inventor, Wolfgang von Kempelen (see biography of Wolfgang von Kempelen), was mainly known for his fraudulent chess-playing Turk automaton, created in 1769. The Turk was considered the most famous illusion in history (it was exhibited with great succees in Europe and USA as late the 1854, where it was consumed in a fire in Philadelphia), and actually Kempelen never said that his illusion really played chess by itself. He said that it was "a very ordinary piece of mechanism—a bagatelle whose effects appeared so marvelous only from the boldness of the conception, and the fortunate choice of the methods adopted for promoting the illusion." We are not going to examine the Turk however, but Kempelen's speech synthesizer, which appears to be the first successful speech synthesizer. It was described in 1791 in the published in Vienna book Mechanismus der mensclichen Sprache nebst Beschreibung seiner sprechenden Maschine. Kempelen was not the first man, who dreamed to create a "talking machine". The reproduction of the sound of words by mechanical means was tried many times before. In XIII century Albertus Magnus is recorded as having made a mechanical automaton in the form of a brass head that would answer questions put to it. Almost at the same time, such a contraption was also attributed to Roger Bacon. In the XVII century Kircher had affirmed that it was possible to produce a head which moved the eyes, lips, and tongue, and, by means of the sounds which it emitted, appeared to be alive. He began such a device to distract Queen Christina of Sweden, but apparently it was never successfully completed. A similar project was attempted in 1705 by Valentin Merbitz, rector of the Kreuzschule of Dresden, who devoted five years to it. The next major advance in this field was made in about 1770 by Friedrich von Knauss, who constructed not one but four speaking heads, but his project was not completely successful. 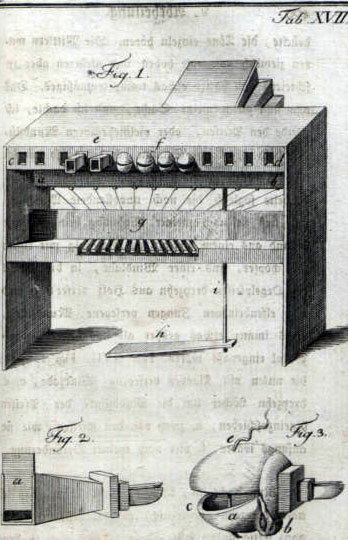 Similar device made in the 1770s Abbé Michal in Paris. Numerous others constructed speaking heads within the next decades, but never with any marked degree of success (with one exception—Joseph Faber). "1. What is the nature and the character of the vowel letters a, e, i, o, u, which so significantly differ from each other? 2. Is it possible to build instruments in the manner of those organ pipes which are known under the term "vox humana" to express the sound of the vowel letters a, e, i, o, u?" The German scientist Christian Gottlieb Kratzenstein won the prize for answering these questions. He provided pipes which generated the requested vowels. Although his approach can be regarded as an important step towards mechanical speech synthesis, those pipes did not show any similarity to vowel production in a human vocal tract. Furthermore, they only generated static, isolated vowels. With the help of a sort of 'organ', an individual key for each single vowel controlled a separate pipe. In contrast, von Kempelen took an important step forward. He recognized the central role of coarticulation and built this idea into his machine. He said: "Now I started to understand that the single letters could be invented but, in the way I did it, never joined together in syllables, and that I had to follow nature which has only one glottis and only one mouth out of which all sounds are emitted and only for this reason can connect with each other." The Kempelen's machine for "vox humana"
Kempelen successfully finished the construction of his speaking machine in 1778, and the machine was documented in the newspaper literature of that time. 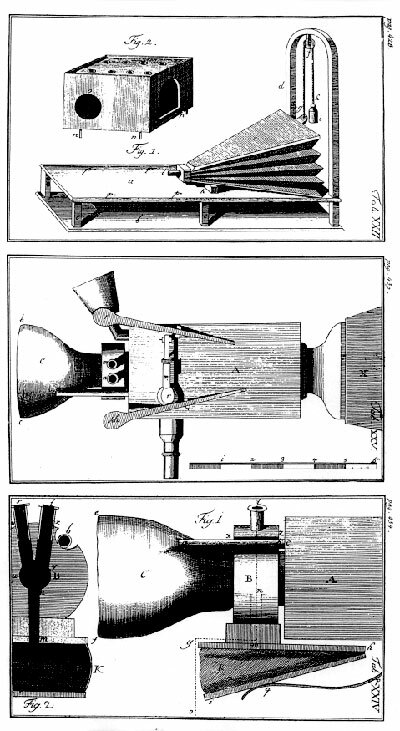 The first picture of the machine was given by Karl Hindenburg in 1784. 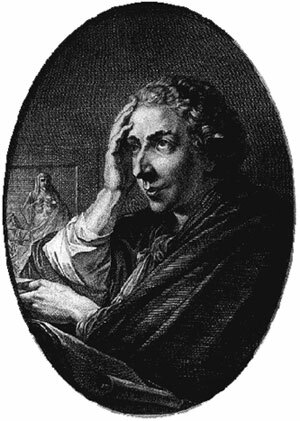 From 1782 till 1784 Kempelen was granted a sabbatical by Joseph II during which he undertook a European journey exhibiting both of his automata. He went through Switzerland, Paris, London and visited the German fairs at Frankfurt, Dresden and Leipzig on his way back to Hungary. Kempelen didn't construct his speaking machine on the base of acoustic theories but went the engineering way of analysis-by-synthesis, namely trial and error. He was mainly interested in the audible result that should be reached by a simple mechanism as close as possible to our articulatory apparatus (see the lower images) on the one hand and playable like a musical instrument on the other. Kempelen classifies the vowels according to the width of the lip channel giving a ranking of A > E > I > O > U and the width of the so called tongue channel that can be interpreted as horizontal tongue position. He goes on to remark that although he tried to produce the different vowels at the same pitch the vowel with a smaller tongue channel seemed to be higher in pitch. 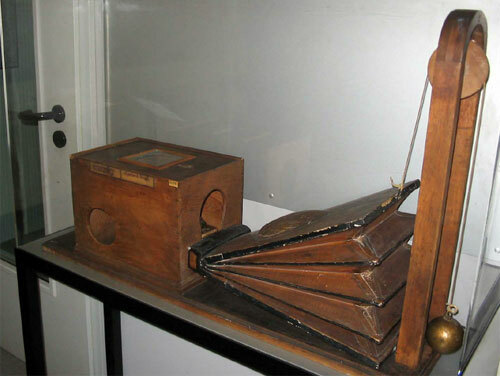 The final version of Kempelen's machine is preserved to this day in the in the department of musical instruments of Deutsches Museum in Munich. 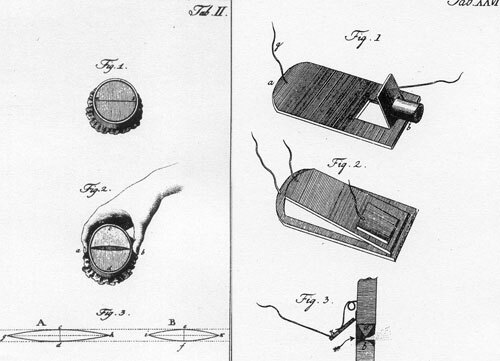 This machine differs from the one described in the book in the presence of a handle, to be operated with the palm of the right hand, by which the oscillating length of the reed can be controlled during speech production. In this way it can be simulated a natural course of intonation. Kempelen's synthesizer was the first that produced not only some speech sounds, but also whole words and short sentences. Kempelen believed that it was possible to acquire skill in using the machine within three weeks, especially if one chose to synthesize sentences in Latin, French, or Italian. German von Kempelen considered much more difficult to synthesize because of its many closed syllables and consonant clusters. There is no doubt, that Kempelen's book was a genuine milestone in the history of phonetics, incorporating many insightful observations on articulatory mechanisms, whereas the speaking machine clearly was a milestone in audio engineering.